Rheem Continuous Flow is a compact, continuous flow gas water heater with optional temperature controllers and is excellent for uses where space is at a premium. It doesn’t store water – instead it heats water as it passes through the unit, meaning it will virtually never run out of hot water. Rheem Continuous Flow meets the Q function standard. This performance standard ensures the water heater smoothes out cold pockets and enhances temperature control during frequent use. With Flame Safe™, Rheem Integrity offers superior builtin safety. Consumer protection is further enhanced with built in diagnostics and operation display status even without controllers. 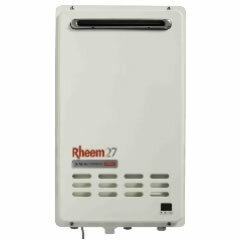 Rheem offers an optional recess box to enable the integrity to be fitted into a wall cavity. 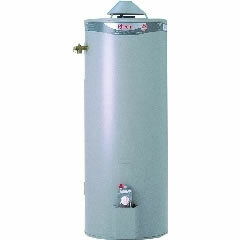 Due to Rheem’s superior design and manufacturing, its range of mains pressure hot water heaters are top performers under variable water pressures and conditions. To underline their flexibility, they operate with mains pressure, unequal pressure and also low pressure. 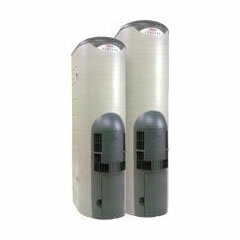 The Rheem mains pressure water heaters are lined with vitreous enamel and are recommended for areas of poor water quality where copper cylinders can sometimes corrode.